Home » Parent Coordination » What is Parent Coordination? Parent Coordination is a form of dispute resolution that goes beyond mediation, psychotherapy, and other forms of resolving conflicts between co-parents. Parent Coordination is often referred to as a child-focused alternative conflict resolution process. Parent Coordination centers around the formulation, implementation and enforcement of a parenting plan. One of the distinguishing features of Parent Coordination is that the Parenting Coordinator “PC” is often given some decision making power by the court. Parent Coordinators are asked, on occasion, to issue “PC Recommendations” which the parents are to follow. The overall objective of parent coordination is to help high-conflict parents implement their parenting plans, to resolve conflicts regarding their children and the parenting plan in a timely manner, and to protect and sustain safe, healthy, and meaningful parent-child relationships. 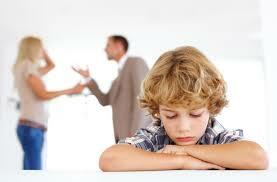 Parent coordinators are trained in family mediation and are either lawyers or mental health professionals. 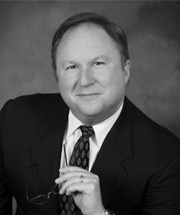 All PCs have extensive experience and training in working with high-conflict relationships. In Oregon, all Parent Coordinators are appointed by a judge which means to hire a Parent Coordinator, you will need a judge’s permission. The goal of the Parent Coordination process is to assist parents in implementing their parenting plan and to resolve conflicts quickly, particularly those that are time-sensitive and involve day-to-day issues. Parenting Coordinators address day-to-day parenting issues. Parent Coordinators may monitor written exchanges of parent communications and suggest productive forms of communication that limit conflict. PCs may assist with implementing minor changes in, or clarification of, parenting time schedules or conditions. 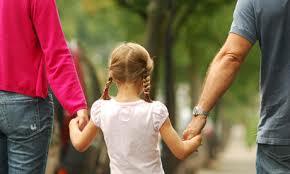 Parenting Coordinators are often asked to address child custody disputes related to holiday and special event scheduling, transportation disputes, disputes over the child’s activities and the costs of extracurricular activities. Other common disputes brought to a Parenting Coordinator involve conflict at parenting time exchanges, school placement and homework problems, medical issues, teenager communication issues, discipline disputes, step parent-child disputes, and religious observance and education disputes, as well as a broad range of other issues. Parenting Coordinators can also help parents understand the developmental needs of their children and teach problem-solving strategies. The goal is to help parents learn how to communicate more effectively and thus avoid conflicts that cause them to return to court. Parenting Coordinators are often empowered to make decisions when the parents are not able to resolve disputes on their own, to the extent described in the court order, or make reports or recommendations to the court for further consideration. A Parenting Coordinator may talk directly with each of the parents and/or their attorneys and PCs typically have access to anybody involved with family members such as lawyers, school officials and teachers, physical and mental health care providers, the children, extended family members, stepparents (or person acting in that role) and anyone else the parenting coordinator determines may have a significant role in resolving the conflict.